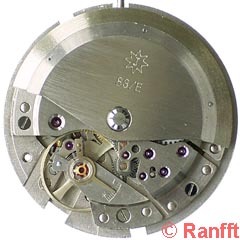 The winding gear is integrated in the movement, instead of attaching it to a manual-wind calibre as usual. 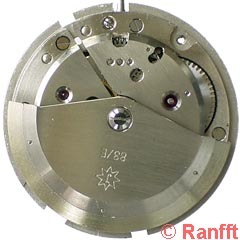 Despite the fairly high (for serial chronometers designed) base movement, this gave a back then acceptable heigth. 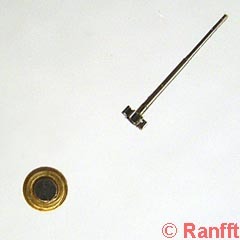 unique: Instead of a friction spring, a magnet in a bushing cares for smooth motion of the indirect sweep second (Fig.3). The end of the sweep-second arbor runs on the polished surface of the magnet.